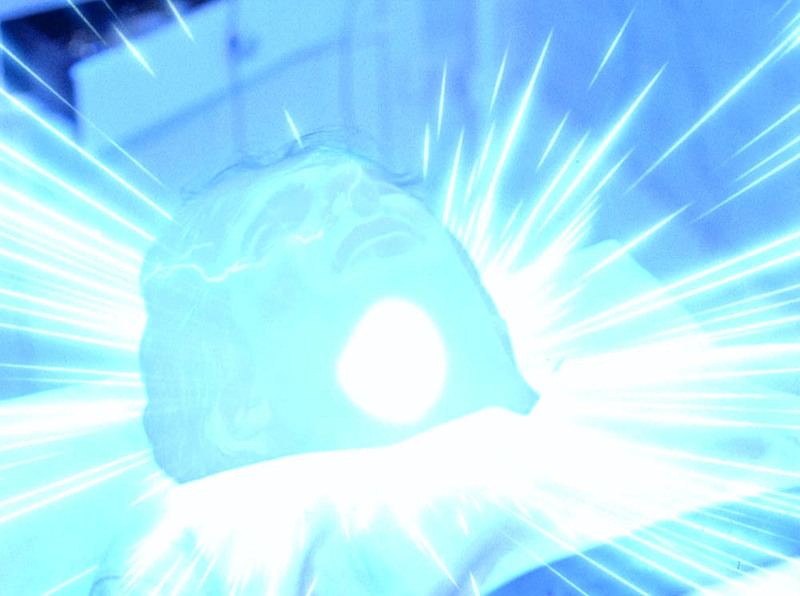 Sam leaps into the life of a mental patient and immediately undergoes electric shock therapy. But he is administered a severly high dosage and it brings out the personalities of several people he has leaped into. With each personality change, it becomes harder and harder for Al to communicate with Sam. If Al and Dr. Beeks can not get Sam out of the situation he is in, they may lose contact forever. Sound file from this episode! Video clip from this episode! 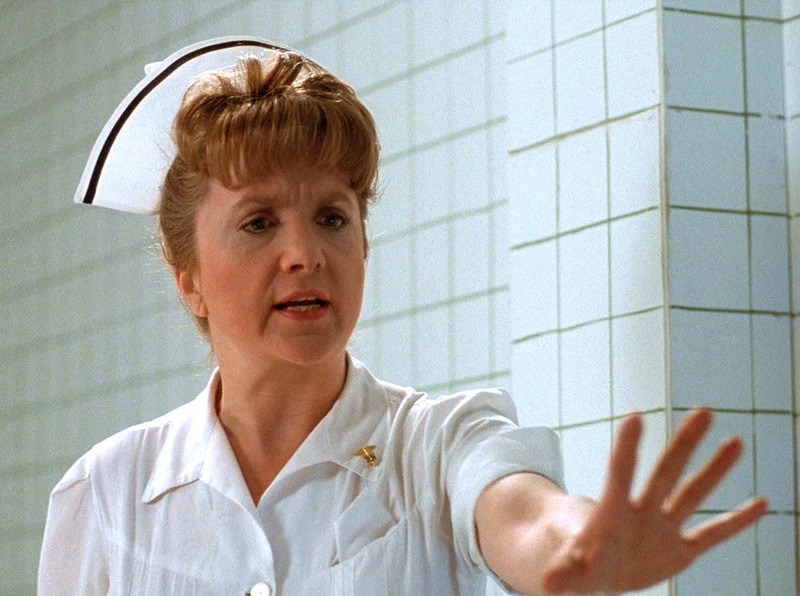 "You're the butcher... I know you're the butcher." 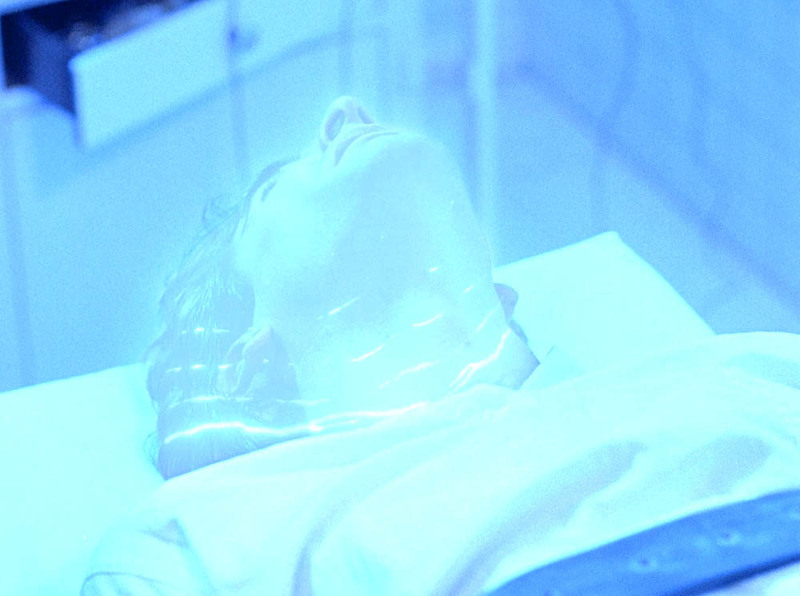 After Sam leaps into Sam Beiderman, he immediately finds himself being given a dose of unauthorized electroshock treatment, which lands him four hours in a recovery room. When he awakes, Sam's brain is so scrambled, he has flashbacks to people he formally leaped into, thinking that he is those people. 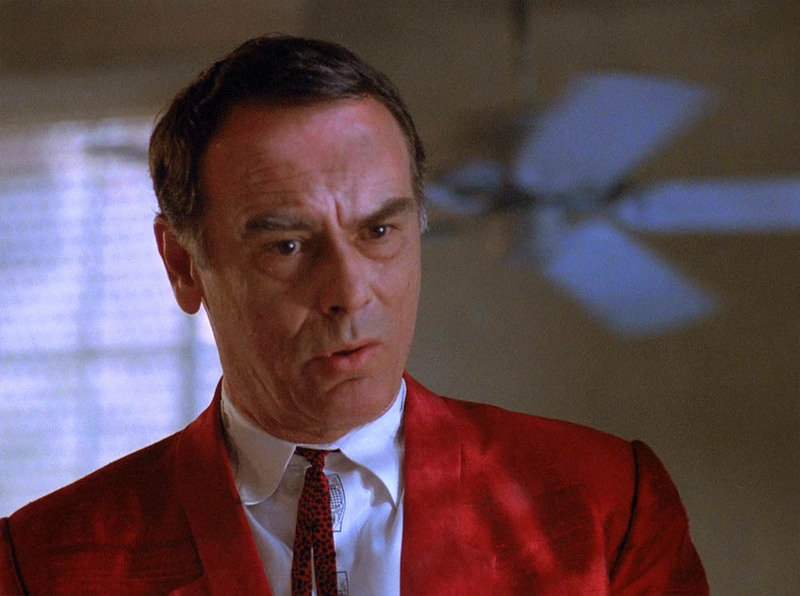 Sam Beiderman, a patient at a psychiatric hospital who was admitted for acute depression, but got worse and worse during the six weeks, until Sam Beckett leaped into him, when things definitely don't get better. First is Samantha Stormer ("What Price, Gloria? "), thinking that "she" is in the hospital for punching her boss, Buddy Wright. 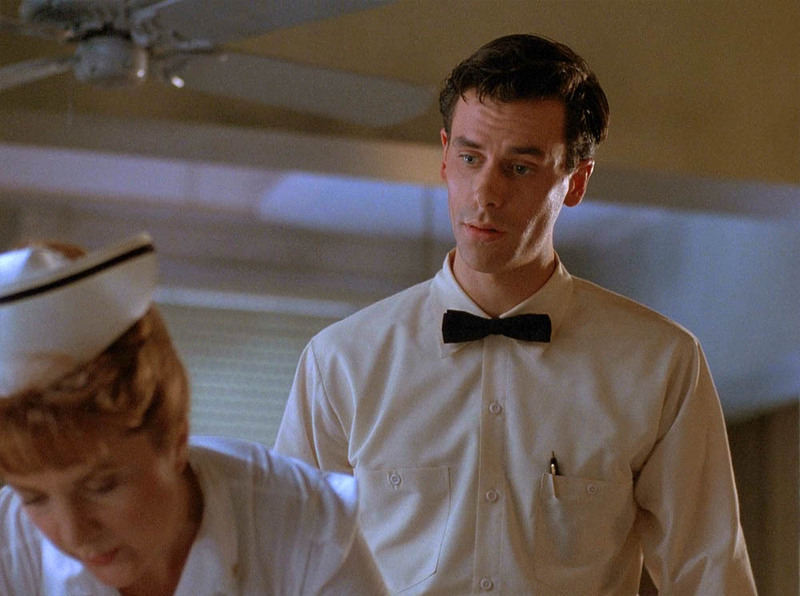 After Al makes his second appearance, Sam wakes up believing that he's Jesse Tyler ("The Color of Truth") who thinks he's in the "loony bin" for sitting down at the lunch counter. During the ink-blot tests, Butch brings in some water for "Jesse", and Sam turns into Herbert "Magic" Williams ("The Leap Home Part II - Vietnam"). The next time Sam wakes up, he takes on his fourth persona, that of Tom Stratton ("Genesis"), wondering if he broke Mach 3. 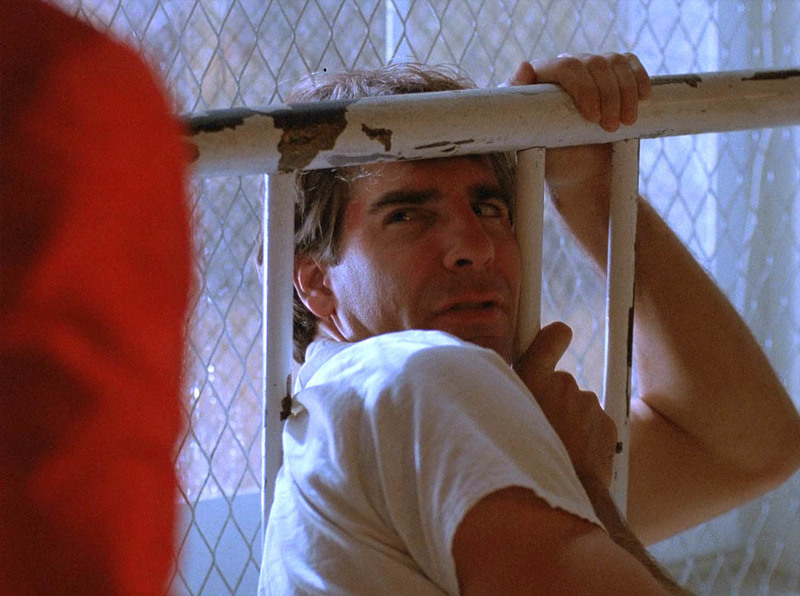 After Al disappears, Sam sleeps again, waking up to Al on emergency power with Dr. Beeks (whom we finally get to meet), this time thinking that he's Kid Cody ("The Right Hand of God"). 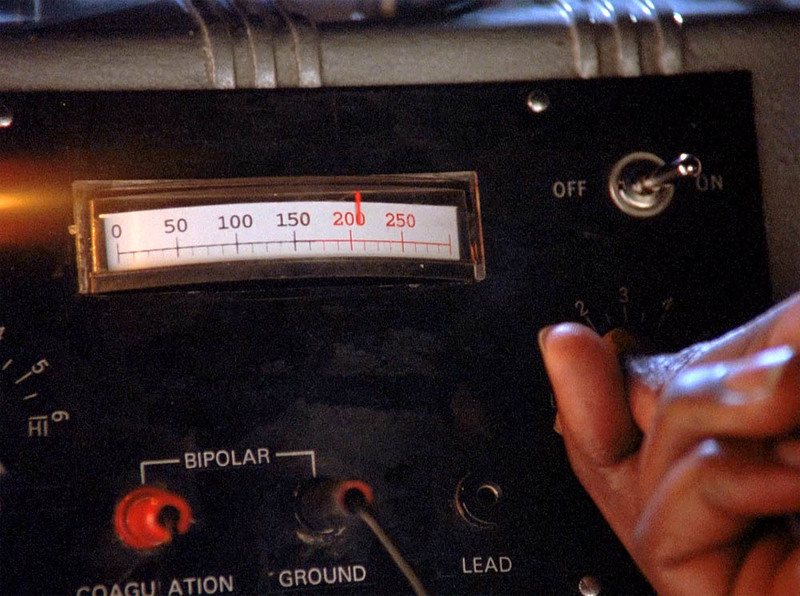 The final persona is that of Jimmy LaMotta ("Jimmy"), who has to convince Dr. Masters to give him another dose of electroshock, at the same frequency as when he leaped in. � We hear more mention of Dr. Verbina Beeks, the project psychologist, and even get to see her for the first time when she accompanies Al in the Imaging Chamber. Reminded that Sam has seven degrees. Gave Sam his "fist break". 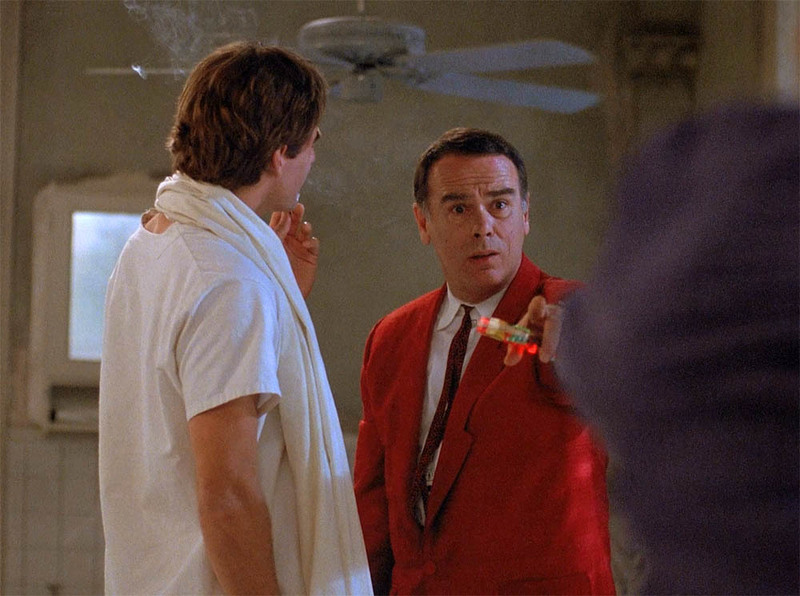 �First few appearances: Red sportscoat; white dress shirt; thin, black tie; unlit cigar. �Last appearance: Greyish-green pin-striped sportscoat; black dress shirt; silver-green scaly tie; watch with black band. Scott Lawrence plays Commander Sturgis Turner on "JAG" (since 2001), and has done the voice of Darth Vader in the past few "Star Wars" video games. He also made an appearance on "First Monday", as well as recurring roles on "Get Real", "Murphy Brown", and "Brimstone". Lee Garlington, Bruce A. Young, and Robert Symonds have all been in feature films (some recurring) and recurring rolls on various (and some shared) television series. 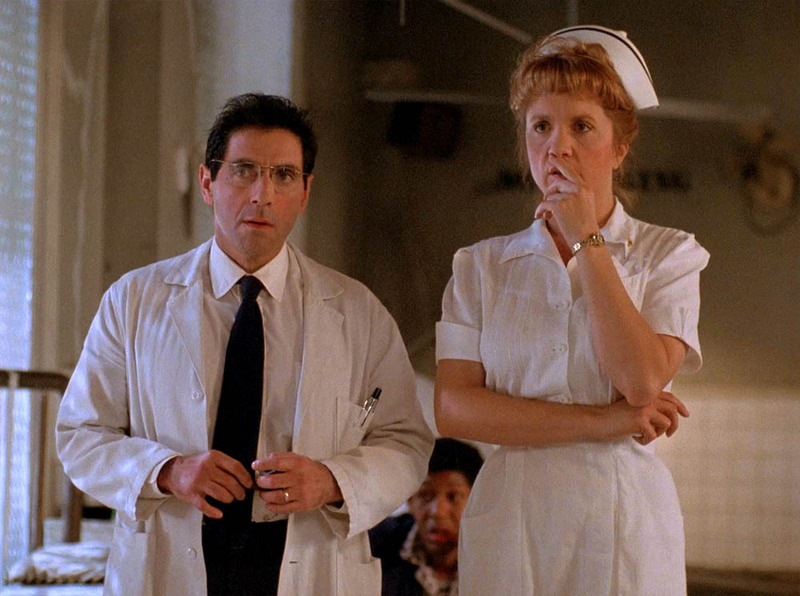 David Proval is credited as "Dr. Silverman" in the IMDb, an obvious error. Both Bruce A. 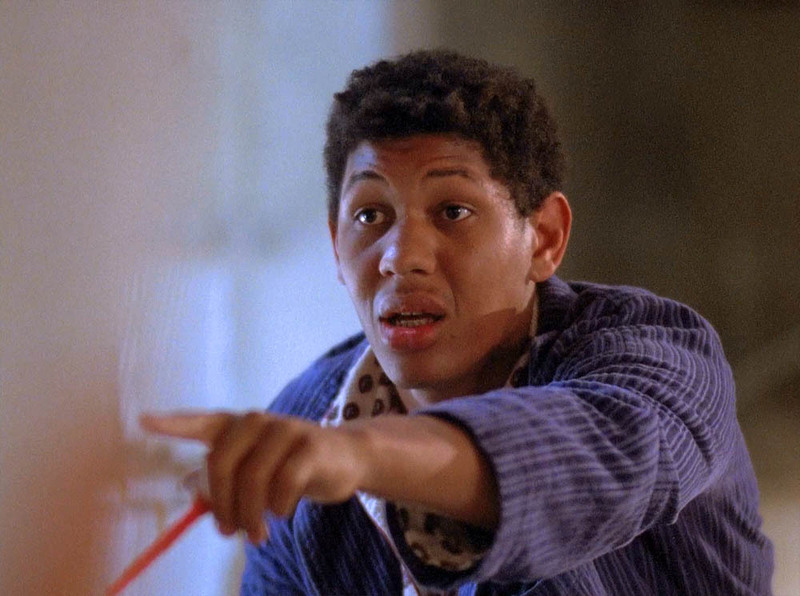 Young and Robert Symonds are credited as Butch in the IMDb, but Mr. Young is the true actor who played Butch. 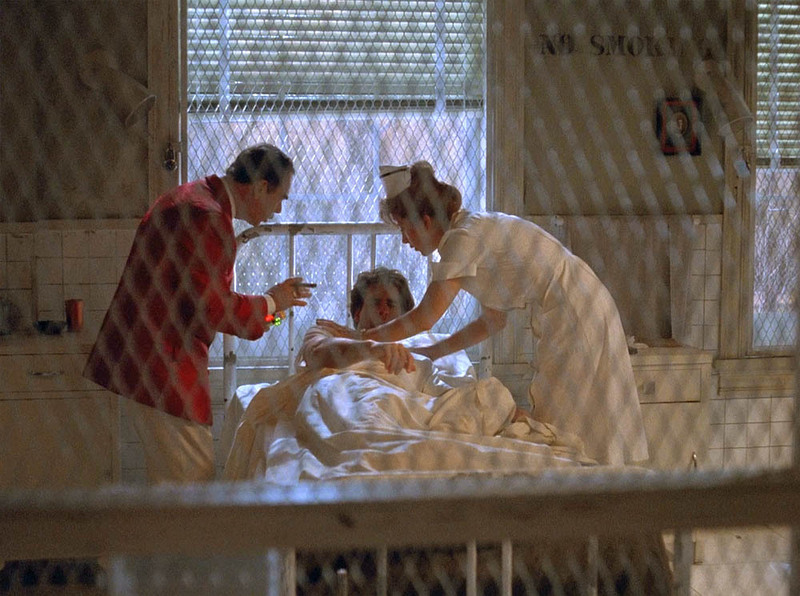 Robert Symonds was in the 1973 version of "The Exorcist" as Dr. Taney. Kevin Page and Harry Pugh are not credited in the IMDb. Howard Matthew Johnson, Le Reine Chabut, and Brad Silverman all appeared in their respective episodes as the mirror image of Sam, but Brad Silverman returns as a mirror image in "Deliver Us from Evil" and plays Pete in "Mirror Image". Ralph Marrero died on November 16, 1991 in an automobile accident. 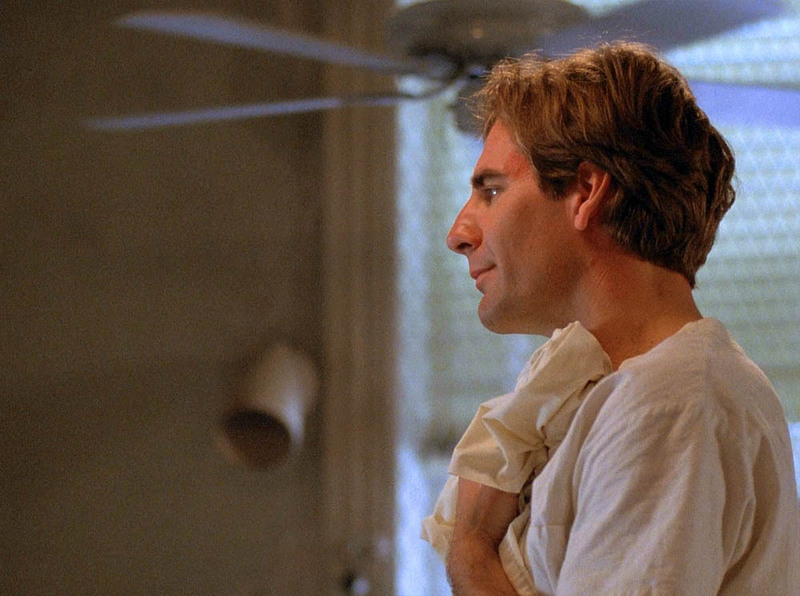 One of my favourite Quantum Leap episodes of all, "Shock Theater" is a great review of the series thus far, reminding us of the people that Sam has helped so far and we get to see how they actually affect Sam's life. We explore a small part of the project (kind of a teaser before the next episode where we get to see the Control Room and all) with the introduction of Dr. Verbina Beeks. 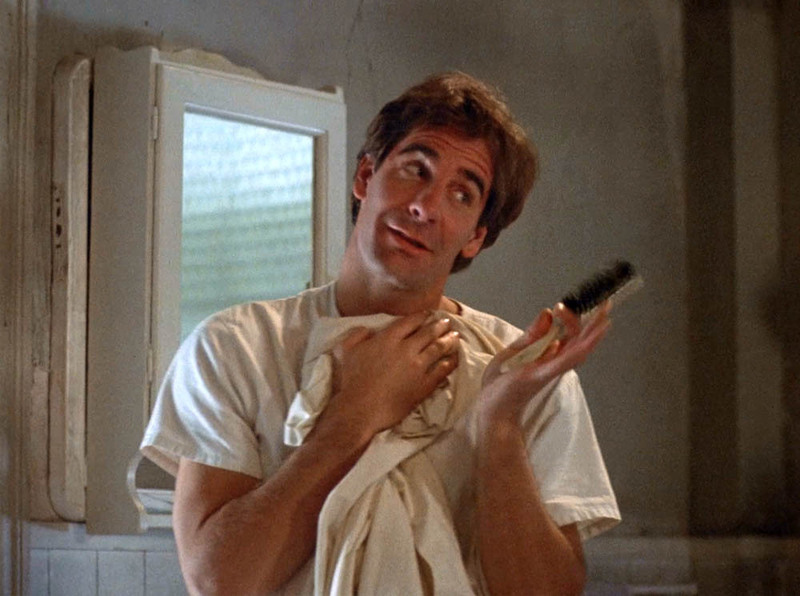 This episode exemplifies the spectacular acting talents of Scott Bakula, with him playing at least seven different characters all within one storyline. He takes on many different accents and body languages, each one its own distinct personality. 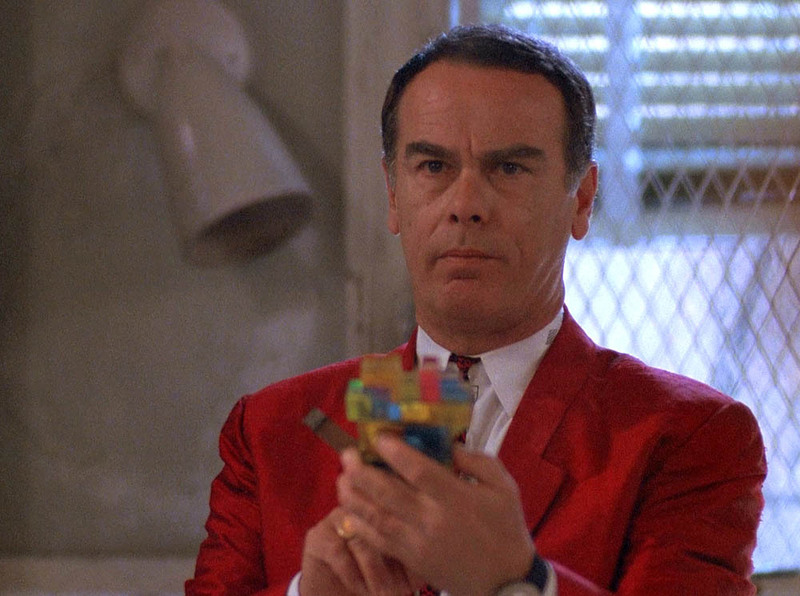 Upon that, we get to see Dean Stockwell show off his acting talents as well. The co-stars also do a great job in this episode, and the writing by Deborah Pratt has to be admired as well. Lighting and the sets just set the mood perfectly for such a dark and dramatic episode of the series. I would reccomend this as a supplementary episode to introduce somebody to Quantum Leap after "Genesis", "Star Crossed", "Honeymoon Express", and a couple of season two and three episodes. 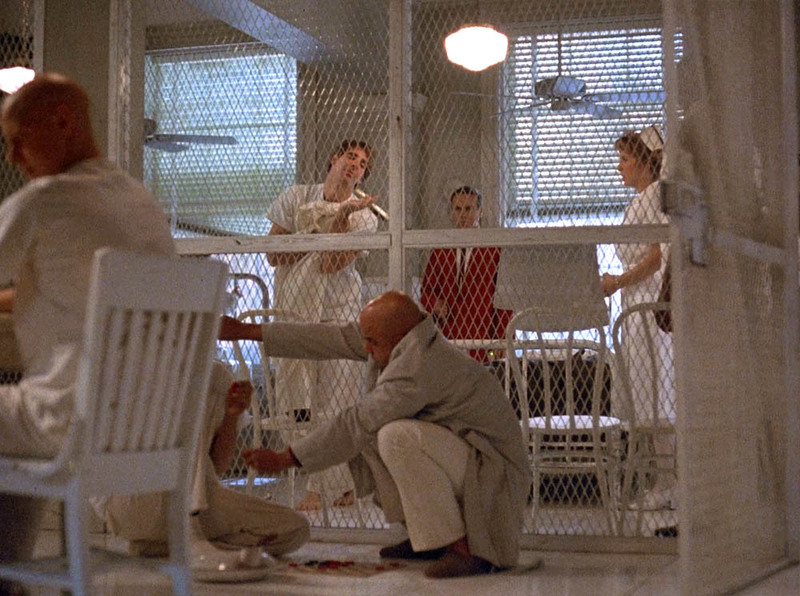 For humour, the best scene has to be when Al gets the patients all singing and acting up during the singing of the alphabet rap song. 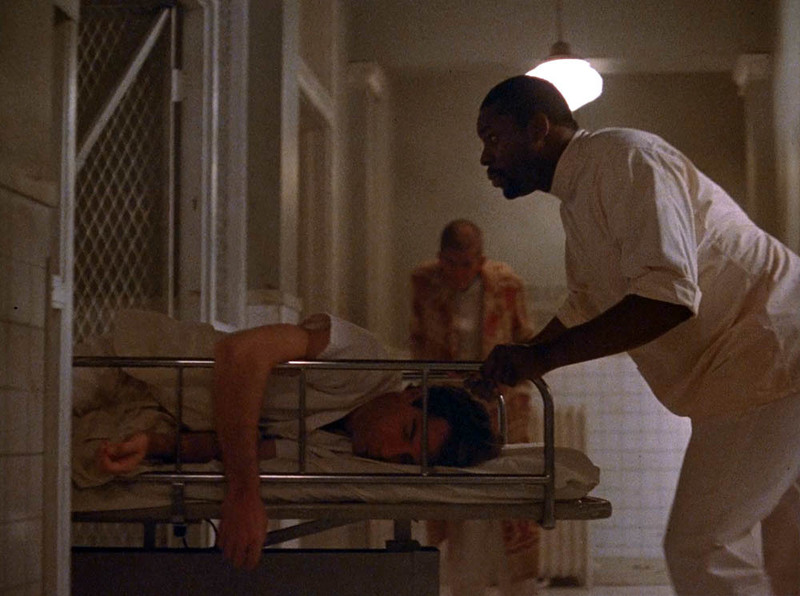 For drama, definitely the scene where Sam has to receive elctroshock for the second time with Al begging him, trying to convince him to receive the therapy. �Freddie: "Yeah, they get committed and then go crazy." �Al: "My God, they... pushed you over the line." �Sam [as Samantha]: "Beckett... I knew a Sam Beckett, back in Elkridge, Illinois." 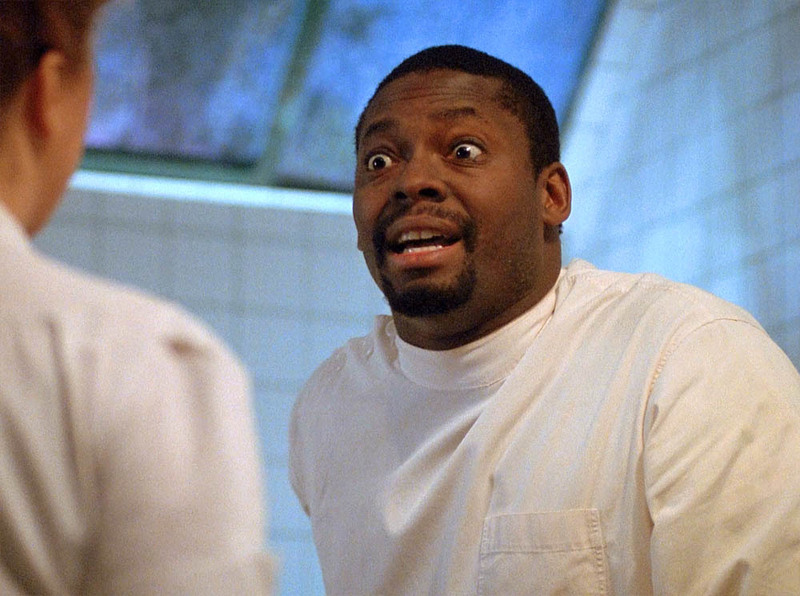 Dr. Masters: "Who's Sam Beckett?" Sam: "Oh... just a boy I knew a long time ago." Al: "Yeah, you were a boy, and then you grew up, and then you built a time machine..."
Dr. Masters: "Was he a friend of yours, Sam?" 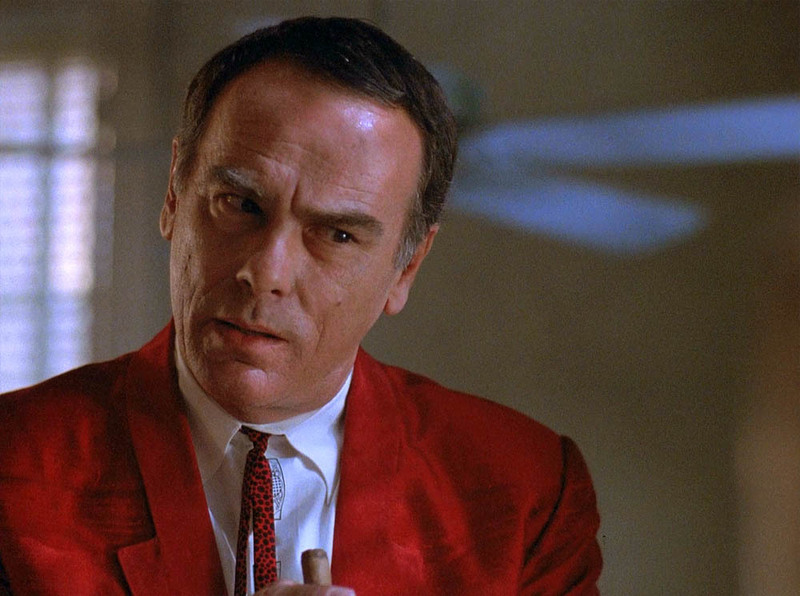 Al: "... called Project Quantum Leap." �Al: "Boy, he's looking at you like a frog in BIO 101." �Tibby: "What is it like in the future? What is it like? I mean is it... does it feel clean? Is it, are there cars that float on air?" Al: "No, uh, the air is filthy and the cars are still on the ground, but we're working on it, Tibby." 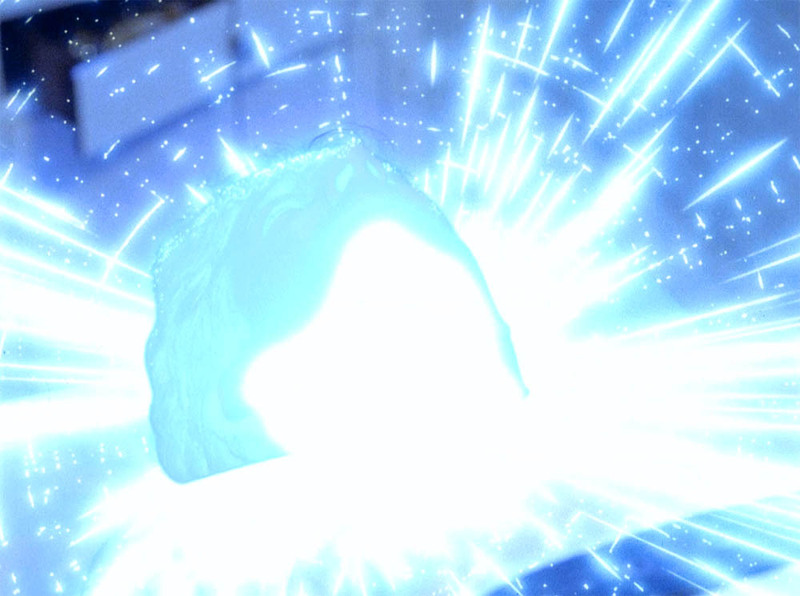 �Al: "Sam, it took us full power to get me back here this time. All you have to do is save Tibby, and then you can leap." Sam [as Jesse]: "I can't leap. Son, I can't hardly walk. I got the rhumatism, you know." �Sam [as Jesse]: "Yeah, no problem. I'm gonna sit right down here and finish this test so we can get the Hell outta here! And I don't know who Dracula is, but I got me a powerful thirst, too! What's it take to get a man a glass of water, huh?! 'Round here?" Edited by - Jerry U. Frizell A.C.E., Jon Koslowsky A.C.E. 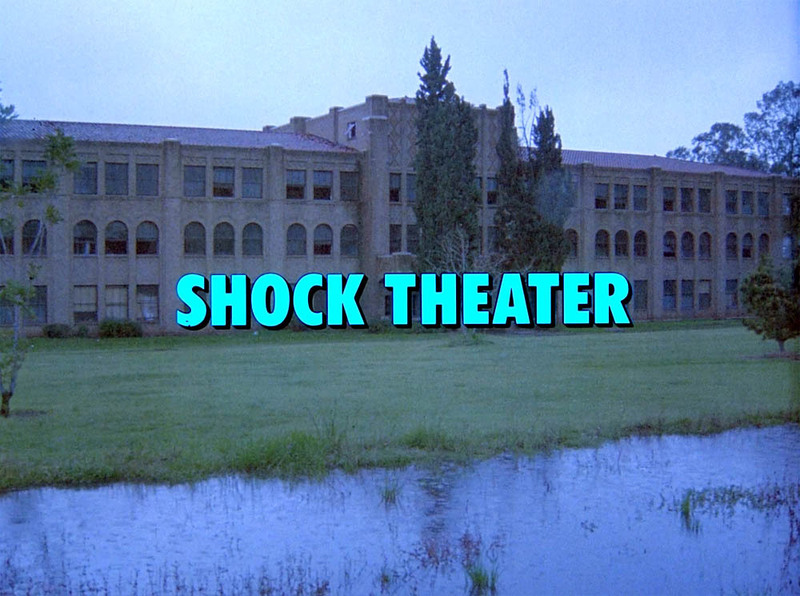 Copyright � 1991 by Universal City Studios, Inc. All rights reserved.